A land contract (sometimes known as a “contract for deed” or an “installment sale agreement”) is an agreement between a seller and buyer of real property in which the seller provides financing to buy the property for an agreed-upon purchase price and the buyer pays the purchase price in installments over the period of the contract. When the Buyer completes the required payments, the Seller must deliver good legal title by a deed to buyer. Real estate investors can structure a 1031 Tax Deferred Exchange and defer the payment of their depreciation recapture taxes and capital gain taxes provided they acquire like-kind replacement property as part of the 1031 Exchange. The real estate investor must relinquish an interest in real property and subsequently acquire an interest in real property during certain 1031 Exchange deadlines in order to qualify for tax-deferred exchange treatment. A land contract allows you to purchase real property without a mortgage because the property's title remains in the seller's hands until the final payment has been made. Selling the property on a Land Contract provides a quick and inexpensive way to sell the property without the rigid guidelines, hassles and delays of bank financing. Beware: if a real estate agent attempts to draft a land contract for you, ask "Are you also licensed attorney in the state of Michigan?" If the answer is, "No." ... then it is illegal for him/her to do so, and your contract may be deemed void in a court of law. Some times the Purchaser or Seller does not want to put on public record all of the details of the land contract. In these cases a Memorandum of Land Contract can be drafted, signed by all parties, witnessed and notarized. By recording this Memorandum both parties have put the public on notice that some agreement does exist regarding the sale of a particular property. This Memorandum filing is also cheaper than recording a land contract since Memorandums are typically only one page. We offer real estate transaction services to both buyers and sellers. If you are buying or selling a piece of real estate in Detroit metro area, protect your investment. 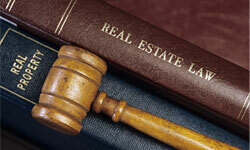 Call our real estate attorneys today for a free consultation. A well drafted lease for a residential or commercial property located in Michigan can help protect you from problems or expensive litigation in the future. 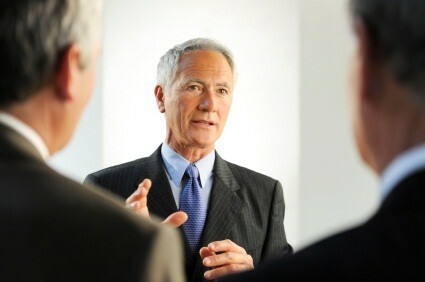 It's beneficial to have our real estate and commercial law attorneys review or draft a lease, but it is of even greater benefit when that lawyer is intimately familiar with the geographic area, the real estate market, as well as the community standards surrounding common practices for handling real estate matters in a particular area.